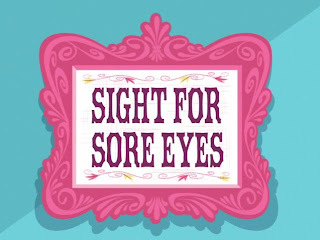 Idiom: A Sight for Sore Eyes; used as a noun/idiomatic expression. First Example: After having lived in Russia for two years, Betty was really happy to return to her hometown of Malibu in California. For the past two years, Betty had constantly dreamed of surfing in the ocean. When she finally saw the beach, it was a sight for sore eyes. Meaning: A Sight for Sore Eyes means someone or something you’re glad to see again. In this example, Betty was really glad to see the beach because she had spent a long time away from it during her stay in Russia. This idiom can apply to any situation where someone is really happy to see something that they had been yearning for. The idiom is used as a noun and/or idiomatic expression. Second Example: After William returned from a long business trip, his own bed was a sight for sore eyes. Meaning: In this case, the idiom, A Sight for Sore Eyes, is used to express William’s happiness at seeing his bed after traveling for a long time. When most people travel for an extended period of time, very often they’re glad to see a familiar sight. In this example, the idiom is being used as noun/idiomatic expression.